Quad City Blues legends Ernie Peniston, Hal Reed, and Ellis Kell will join each other in concert this month. The Mississippi Valley Blues Society presents the show on Friday, March 11 at Kavanaugh’s Hilltop Tap (1228 30th Street, Rock Island, IL). Show start is at 8:00 p.m. and admission will be $10 if you are a member of the Mississippi Valley Blues Society and $12 if you're not a member. Applications to join the Blues Society will be available at the door. Ernie Peniston told KWQC, "To the best of my memory, the three of us have never played together as a group before. 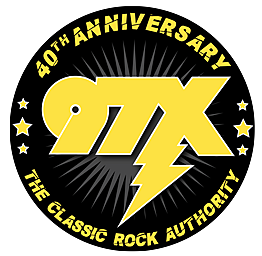 Total, we have played in the Quad Cities for over 70 years, but this will be an exceptional and unique experience for the band and audience as well." "The Mississippi Valley Blues Society and Festival originated over 30 years ago as the dream of a few people, and initially featured all local and regional talent. It’s evolved into such an essential and powerful component of the Quad Cities music scene. We all want (and need) to do our part to help MVBS keep the Blues alive." said Ellis Kell, "It is truly an honor to be working with Ernie, Hal, and everyone involved in this very special evening of Blues, simply for the sake of roots music here in our community."